Calling Comic Fans! 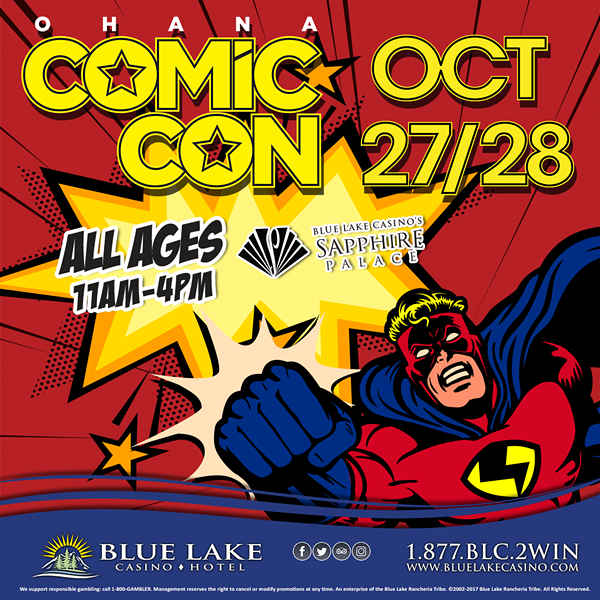 Humboldt County’s first Ohana Comic Con is coming October 27th and 28th to the Sapphire Palace at Blue Lake Casino Hotel. Get ready for two days of fun for the whole family! Check-out vendors, dress to impress for cosplay contests, meet celebrities and more!